My mission on this planet is simple: I want to get you creating. Why? 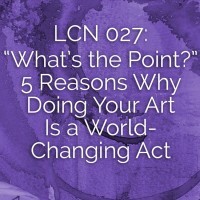 Because not only is creative expression one of the fastest routes to happiness and self-fulfillment, it’s how you will change the world. 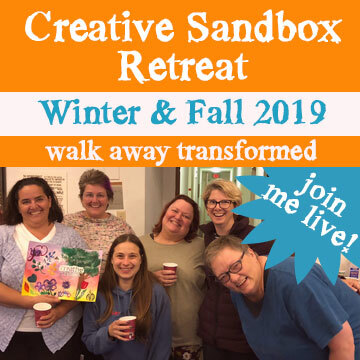 Yes, I kid you not: when you feed your creative hungers, you are not just a crafter, a maker, an artist, a writer, a dancer, a musician, a filmmaker, a knitter, a cook, a gardener, or whatever—you are a Creative World-Changer. This may seem like a radical concept to you right now, but it’s really quite elementary. 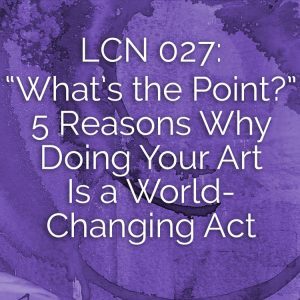 Let me break it down for you—here are five specific ways in which pursuing your creative interests is a world-changing act. You’re invited to my birthday party! 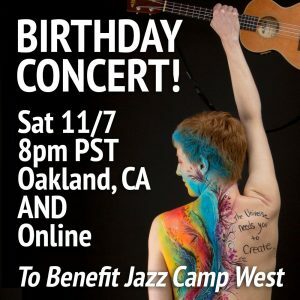 On Saturday, November 7th, at 8:00pm PST, I’m throwing a birthday concert bash to benefit the Jazz Camp West scholarship fund, and I’m streaming it live online. 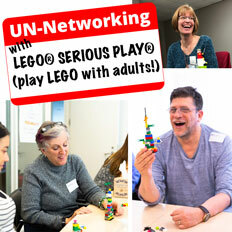 Or if you’re in the SF Bay Area, click here to join me in Oakland, CA. The venue has been donated, so 100% of the funds I receive (after any payment processing fees) go directly to pay for scholarships to Jazz Camp West. 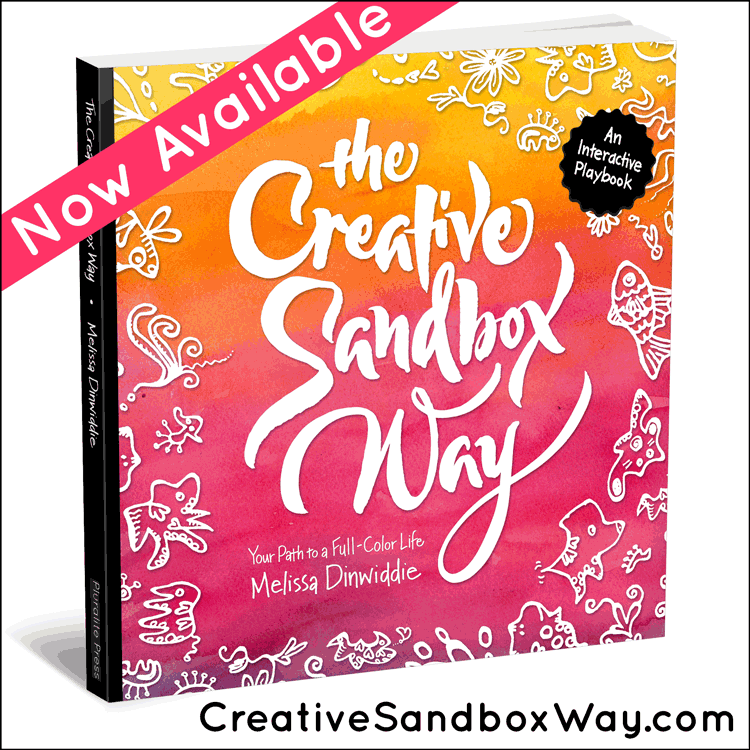 Today’s episode is an excerpt from an ebook I’m working on, all about how to unleash your innate creativity and get past what gets in the way. 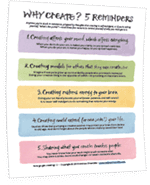 Click on the button below to sign up for my FREE Member Content Library, and I’ll send you a free poster of these five reminders, which you can print out and hang on your wall, to refer to whenever you need to. 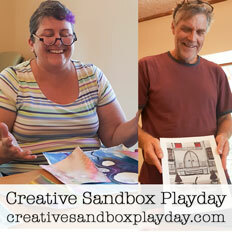 PLUS you’ll also get a passel of other goodies to help you live the full-color, creative life you really want. And you’ll get inspiration in your inbox every week, and first dibs on new products and programs. Also, please leave an honest review for Live Creative Now on Tunes! If you’d also like your voice to be heard on the show, leave your question as a voice message right here.